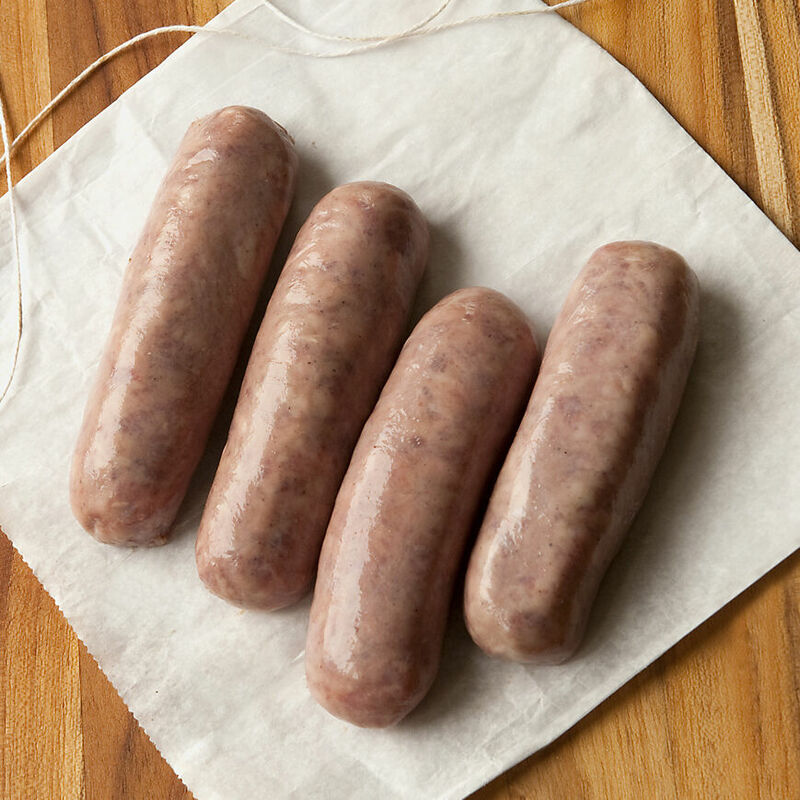 Duck and pork sausage, made all naturally in small batches, with no nitrates, nitrites or artificial ingredients from meat raised humanely without antibiotics or hormones. An essential ingredient in cassoulet, these sausages are also great with pasta, in soups, stews, and holiday stuffing, casseroles and even charred on the grill. Cooking Tips: Besides being an essential element of cassoulet, our duck and Armagnac sausage adds flavor to your favorite recipes and can serve as a quick and easy main course. Sauté sausage with onions and peppers, crumble, brown, and add to pasta or casserole; or grill and serve in a baguette with your favorite condiments. Sausages can be cooked in or out of the natural pork casing. When pan-searing or grilling, cook slowly at a moderate temperature to prevent the casing from splitting.